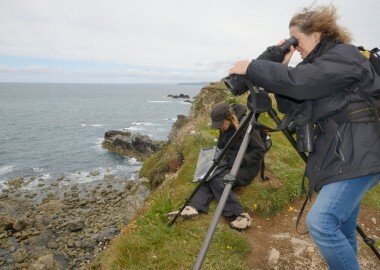 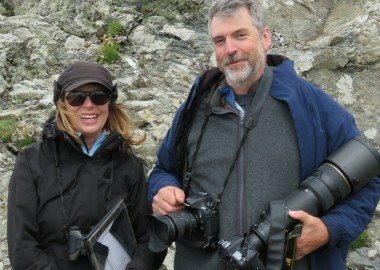 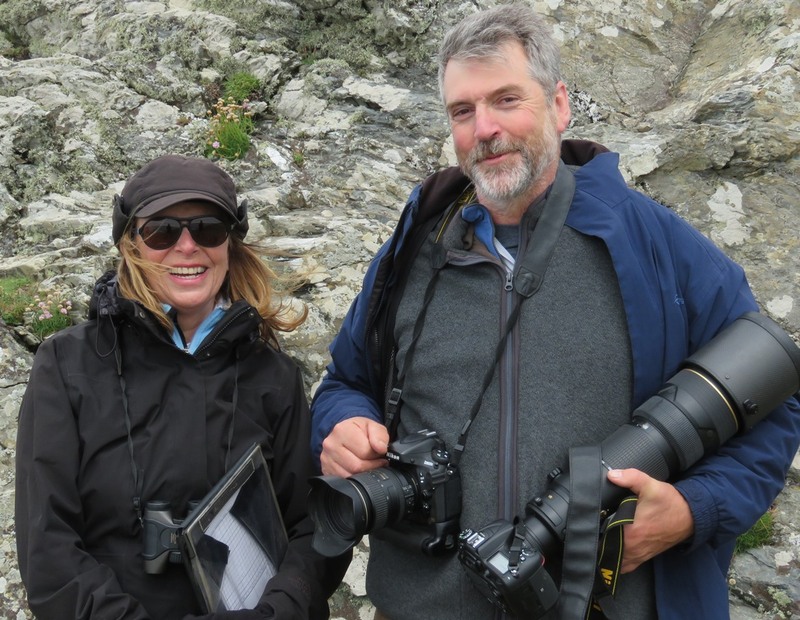 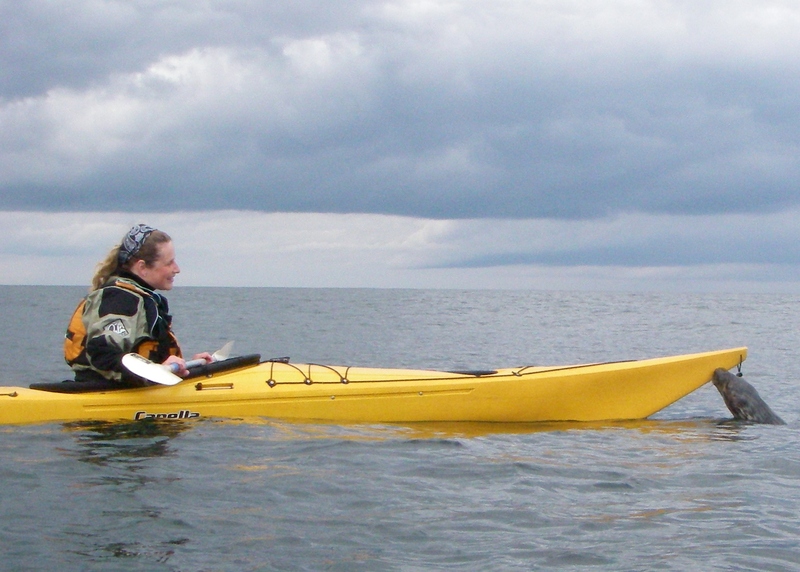 In 2015, CSGRT hosted visits from freelance writer Amy-Jane Beer and photographer Nick Upton who were researching an article on grey seals for the BBC Wildlife magazine. 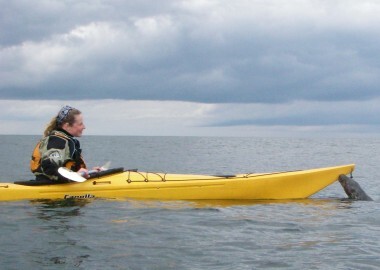 Amy interviewed Sue Sayer in May at CSGRT HQ whilst Nick joined both Sue and Kate Hockley on a routine land based survey in June and then participated in a POLPIP boat survey later in the year. 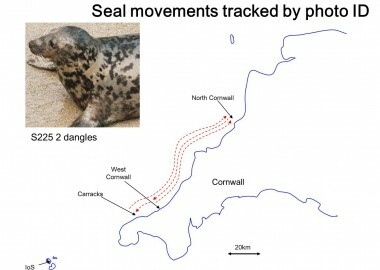 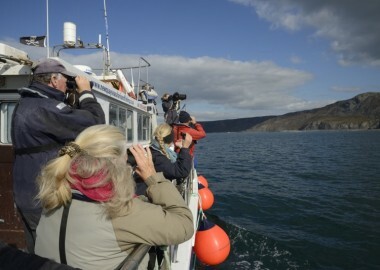 The final article was published in the Spring 2016 edition of the BBC Wildlife magazine and described the joined up nature of marine wildlife organisations working with grey seals in Cornwall – CSGRT, British Divers Marine Life Rescue (BDMLR) and the Cornish Seal Sanctuary (CSS) who were also interviewed and photographed by Amy and Nick about their rescue and rehabilitation work. 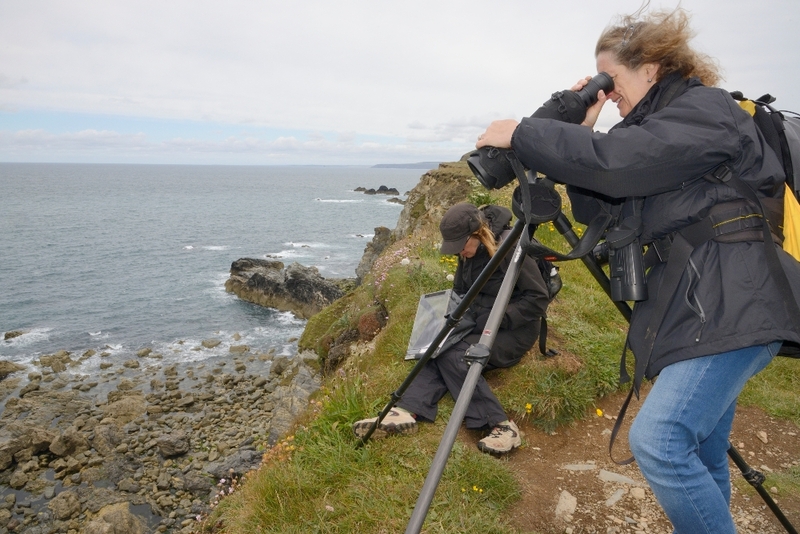 Additional online content including a short video recorded by Amy can be accessed by clicking here or you can view the video content on Youtube by clicking here. 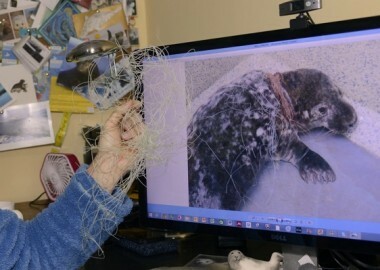 After visiting Sue, Nick paid several visits to wild seal haul outs and submitted his photos for routine photo ID. 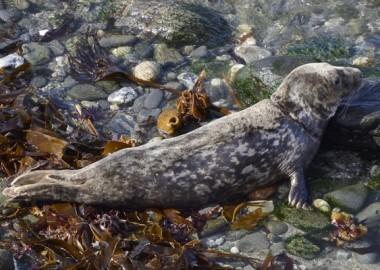 He was delighted to find the identities and back stories of some of the seals he had seen. 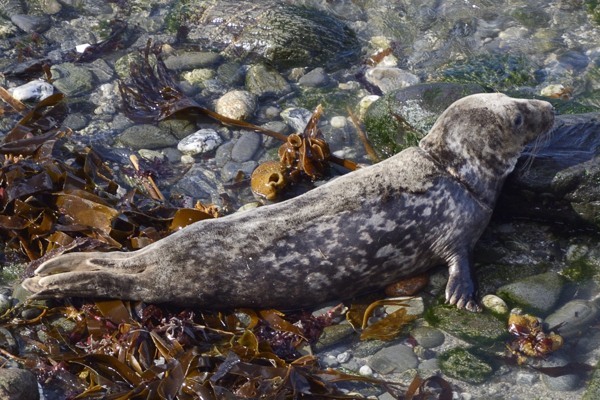 It was particularly satisfying for Nick to find he had seen ‘Beast’ fit and well back in the wild on 17/09/15 in west Cornwall, a seal whose rescue and rehab story he had discussed with Sue earlier in the year and whose story he had followed up with BDMLR and the CSS Animal Care team. 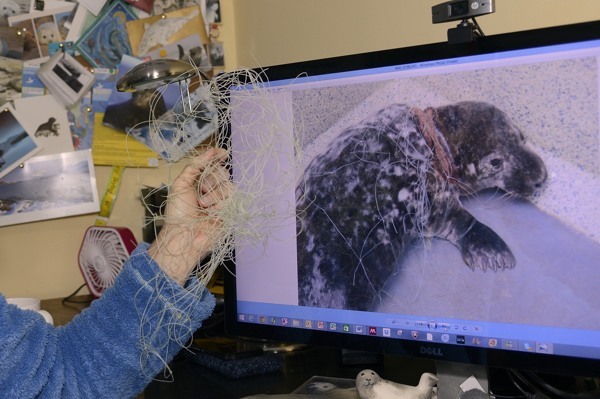 Nick’s photograph of Sue holding the net removed from Beast’s neck by BDMLR in front of a photo of him in the CSS hospital (left) and Nick’s photo of Beast back in the wild (right). 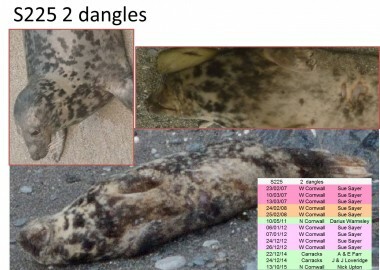 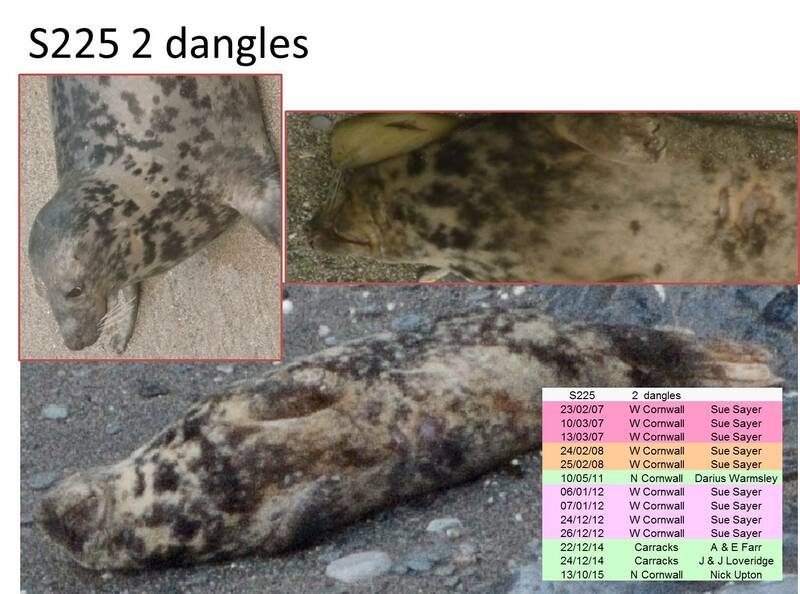 Nick also snapped adult female S225 2 dangles at the north Cornwall haul out only to discover she had last been seen 85km further west at the Carracks almost eight months previously. 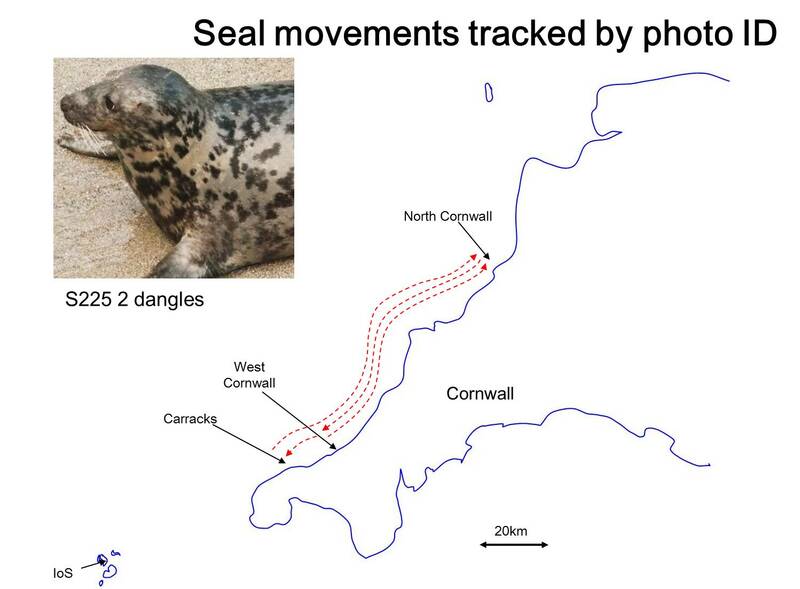 Nothing is more rewarding than knowing we are making a difference to research, conservation and most importantly to individual seals through the evidence based rescue, rehab and post release monitoring work that has been conducted by literally hundreds of volunteers working across all three networks. 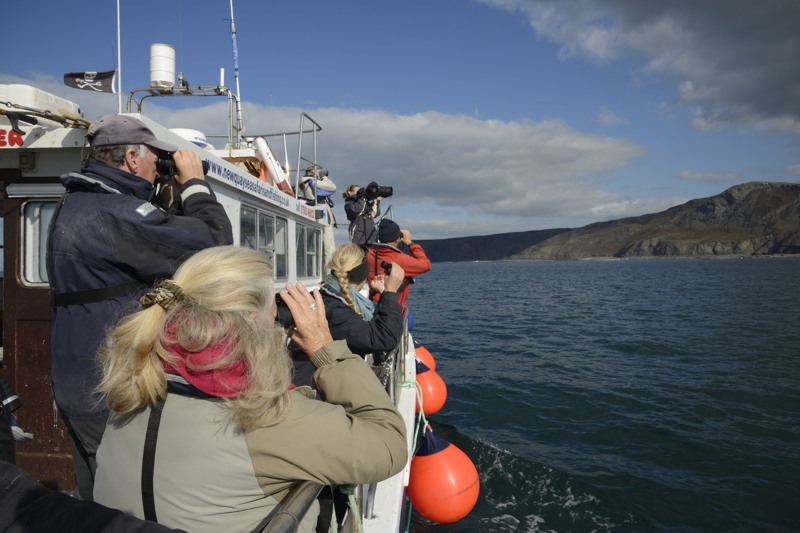 Huge thanks and well done to everyone involved!